You are invited to a very special year-end Holy-Days Cacao Connection Chant Circle where, together, we will share the Heart opening medicine of Cacao, activate our prayers with our voices, share our deepest inspiration, and re-member our Soul's Truth and Highest Good. This months New Moon cacao connection circle offers a special opportunity to ignite our prayers with song in the time of the Holy-Days and co-create a sacred space to share some very special ceremonial cacao from Guatemala in the form of a delicious cacao drink. 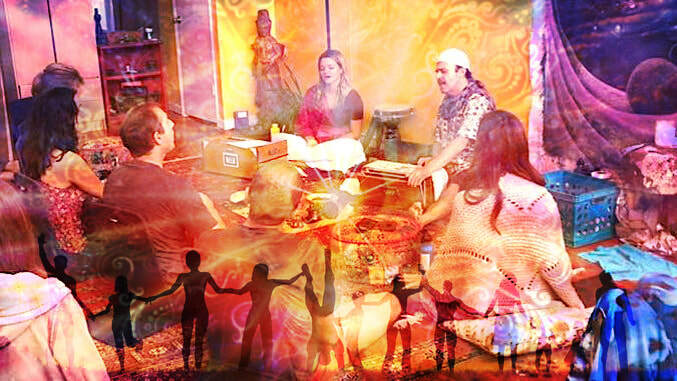 With the aide of this self realization medicine we will set our New Moon intentions, activate our prayers with song, and share our hearts truth in sacred circle. Devotional Chanting led by Antonio Aversano, Brittany Nelson, and friends. Entrance on Tamalpais Ave - go upstairs to 2nd floor. It is suggested to use Parking Garage or designated parking spaces through archway off of Tamalpais. Click here to see an aerial map of the location.